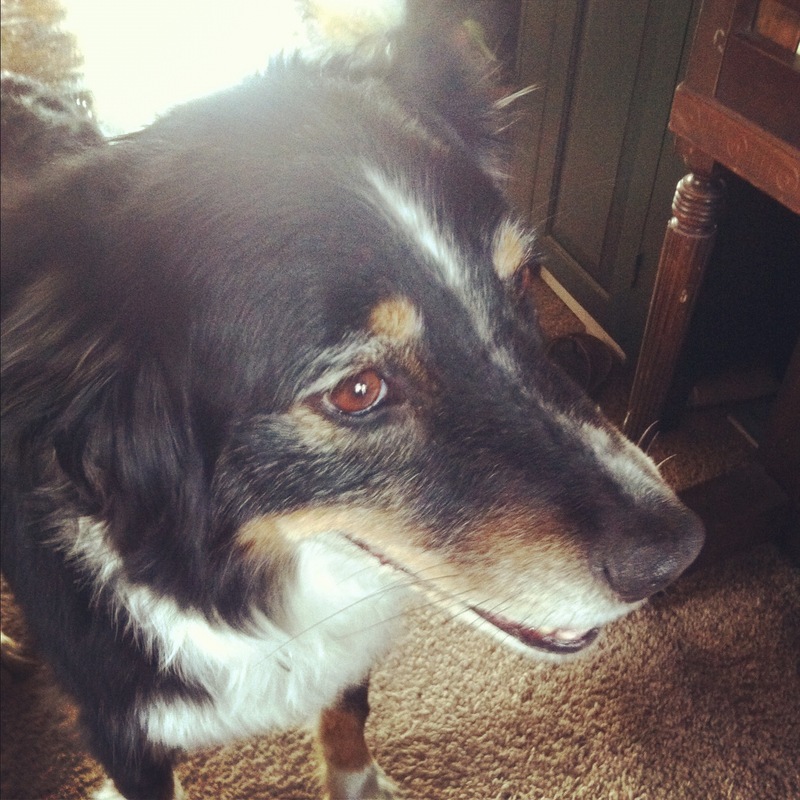 WW – the Australian Shepherd Mix and Giveaway! I know, I know – no breed of the week today. I’m running out of new breeds to photograph (I prefer to use my own photos. OR PHOTOS PEOPLE GIVE ME PERMISSION TO USE. *hint hint*) Today we participate in Wordless Wednesday with the Australian Shepherd. But when have I ever been wordless? Heh. 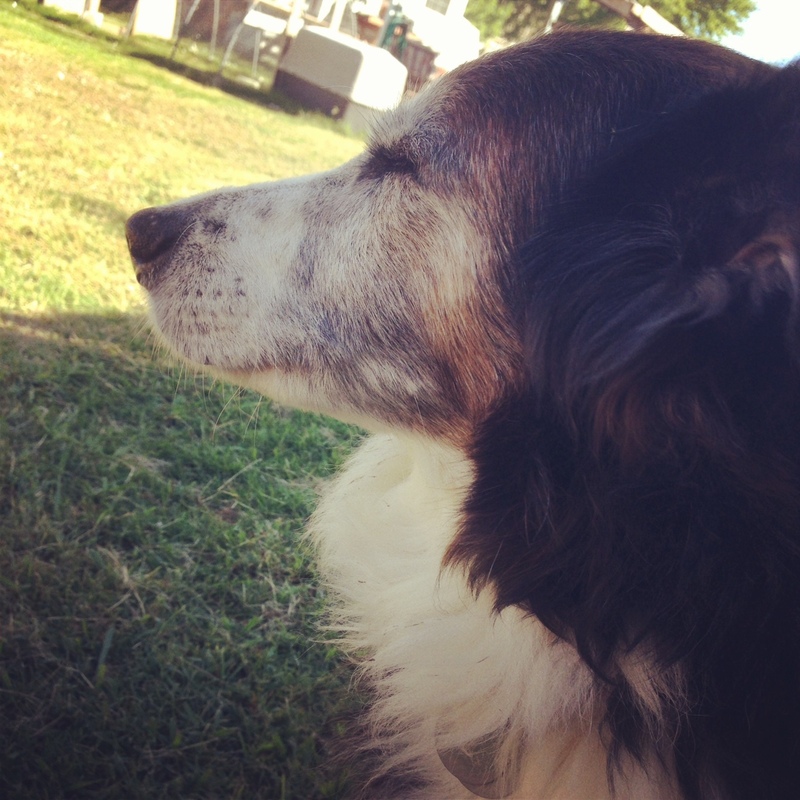 Patches is my senior girl. Once upon a time this Australian Shepherd mix had a lot more black on her muzzle. I think she looks more dignified now. Yes, I’m partial to my very own dogs. 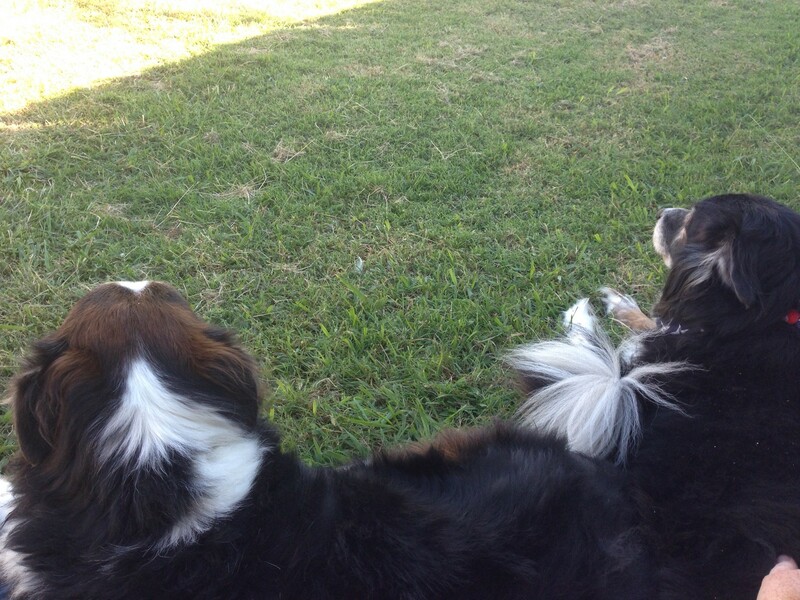 For the first few months I blogged, I talked about Australian Shepherds extensively. Or maybe it just felt that way. Flash and Patches are Aussie mixes, their mama being full blood, the dad the German Shepherd next door that got under the fence. Doesn’t she look wise and aloof? Patches had spent the day outside, her favorite place, hunting mice and bunnies. Didn’t catch anything, though. We rescued our two babies more than eight years ago, when they were three years old. It was the best thing we’d done in the way of dogs. 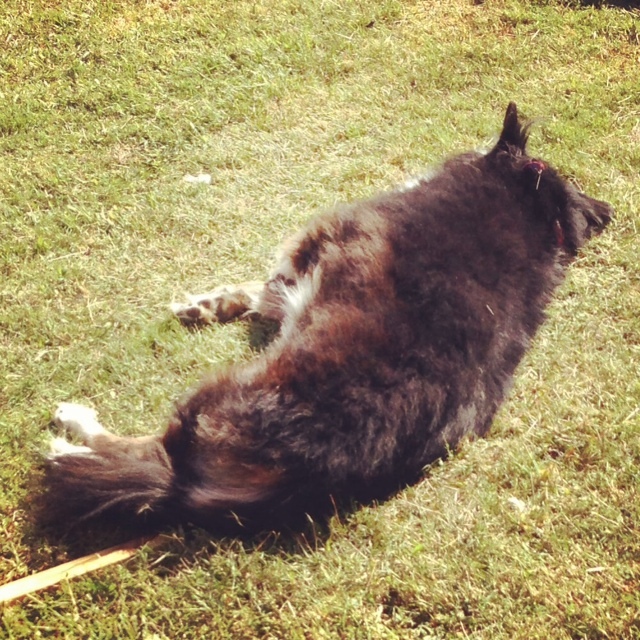 It never ceases to surprise me that the dogs like to sleep in the sun. I pet them and their black fur feels like an oven. I’d think that with all that fur they’d sleep in the shade. This brother/sister duo sure do love each other. This is Skye, another senior Australian Shepherd. Isn’t he a handsome boy? My kids did a double take when they got home from school. He looks a lot like our fur babies. 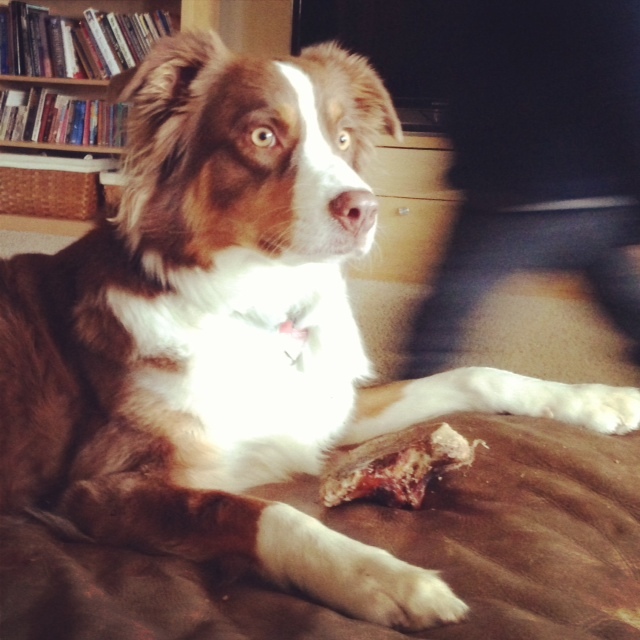 McGrady, the deaf Australian Shepherd, LOVES Jones jerky and taffy. Loves. This is Ninja, a three year old miniature Australian Shepherd I met at Bark World. I thought she was a puppy. She behaved rather like a puppy at times, but she was stinkin’ cute. GHILLIE! Ghillie is one of my favorite Aussies. He’s a red tri, 70 pounds, from working stock, and beautifully trained. But when his mama, Collette, and I weren’t watching, he ate a cupcake liner. Collette says he’d do it again in a heartbeat. I guess I wasn’t giving up the treats quickly enough. I love this one, especially, for the crazy eyes – met it at a local pancake breakfast to support the dog park. Bella, alert, sits still for a photo. Not. I had to take about forty pictures to get a couple of good ones. She’s a good friend’s dog and I always bring her a treat from Jones. 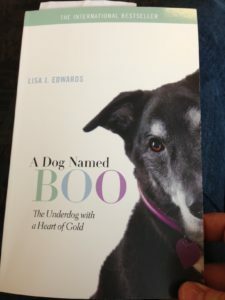 A Dog Named Boo, by Lisa Edwards – heart wrenching and sweet. You want to read this. Loved it. It’s one woman’s story of how a dog changed her life. An adorable special needs dog. Very good read. So leave a comment on this post and I’ll be naming the winner of the book on Monday.